Product prices and availability are accurate as of 2019-04-06 07:40:06 EDT and are subject to change. Any price and availability information displayed on http://www.amazon.com/ at the time of purchase will apply to the purchase of this product. 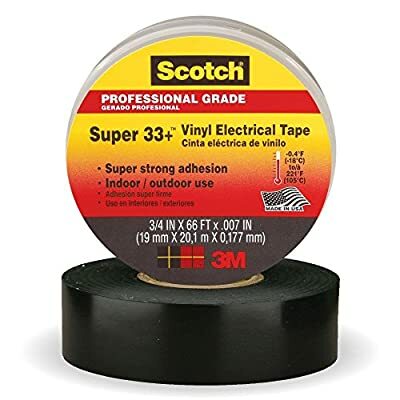 Aggressive adhesive and elastic backing ensure easy, water-resistant conformation to irregular surfaces in low temperatures, yet will not ooze or melt in high temperatures. Use as a primary insulation for wire cables splices up to 600V, and for fixture and wire splices up to 1kV.